Aimi Sugarman is a Private Client Executive and a member of the Chartered Institute of Legal Executives. Aimi is highly experienced in dealing with all private client areas relating to Wills, powers of attorney, probate, trusts and elderly care. Aimi has managed professional deputyships for several clients in the Court of Protection. Aimi has also acted as a Trustee, Executor and Attorney for many of her clients. She is experienced in setting up and dealing with Charitable Trusts. Drafting and executing a range of simple and tailor made Wills for individuals, married couples, vulnerable persons and business owners, which can include protective property trusts. Considering and advising about any inheritance tax and capital gains tax liabilities. Advising and drafting trusts including Disabled Persons’ Trusts and Charity Trusts. Drafting and executing Lasting Powers of Attorney and Court of Protection applications for both financial decisions and healthcare decisions. Managing and making financial and health decisions to people who wanted professional assistance. Assisting attorneys, deputies and trustees to make decisions and deal with the administration of their appointment. Dealing with end of year financial reports and applications seeking authority from the Court. Property matters which includes severing tenancy agreements, transfer of ownership, first registration, selling and purchasing property. Elderly client care and care fee planning. Obtaining probate and dealing with administration of estates. Working with genealogies and heir hunters to find missing beneficiaries and dealing with the administration of a deceased’s estate who didn’t leave a will. Aimi is passionate about elderly client and vulnerable client care. Aimi is a Dementia Friend Champion which encourages others to learn about Dementia through Information Sessions in the locally community and inspire others to help those living with dementia live well. Aimi runs a free legal clinic every month for carers in the Beverley and surrounding areas. Aimi also provides legal talks on private client matters to sport clubs, religious groups, nursing homes and local businesses. In her spare time Aimi is a voluntary Treasurer and Trustee for a local Charity. 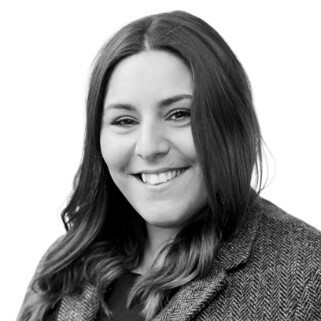 Aimi is based in the Beverley Office.